At my first yoga class in my early twenties after moving to London from South Africa. I have since dedicated my life to expanding and deepening my practice, first exploring the teachings with Shakti Power Yoga led by Valentina Candiani in 2014 with a 200 HR Yoga Alliance teacher training . 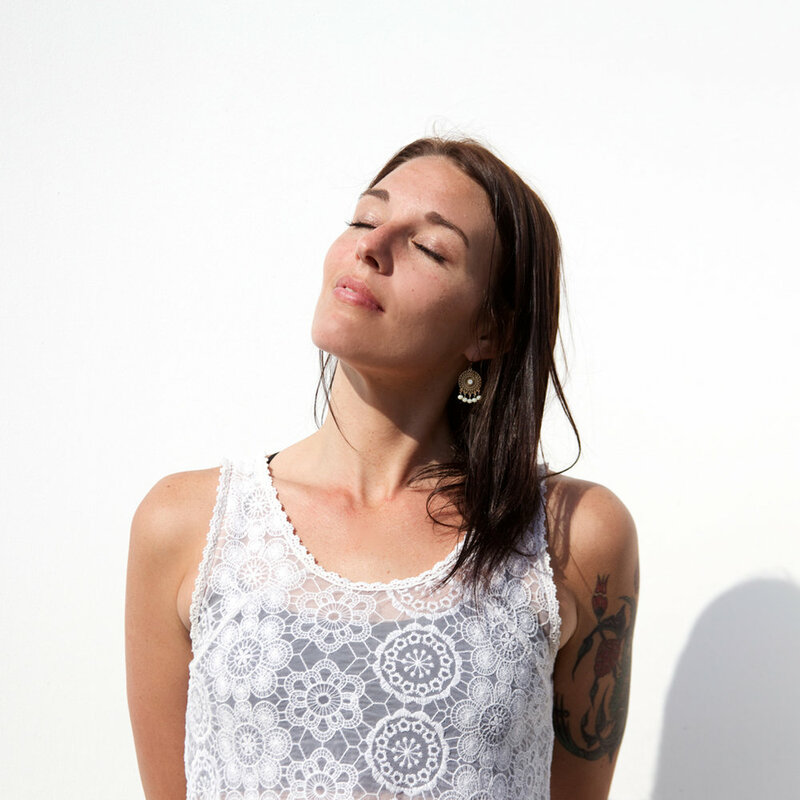 Shortly after completing my training, I decided to pursue the strong calling within to immerse into the yoga community and moved away from the high end retail environment to became the studio manager and a yoga teacher at the beautiful space that is Yoga West in West London. I taught a range of classes including slow flow, beginners yoga, vinyasa and pregnancy as well as yoga beginner courses. As my love of the practice grew, I felt a strong urge to delve deeper into the ancient origins of yoga and decided to immerse into Yoga Philosophy with The Oxford Centre for Hindu Studies in 2016, which further strengthened both my own practice and my teaching. It was also at this time that I started to teach yoga in school environments and worked with Alice Blunden of Yoga Project UK and Yoga West to bring yoga into schools for both children and teachers. In 2017, I discovered the wonderful joy of pregnancy and felt a need to further understand and acknowledge the unique adaptations that are required both physically and emotionally during this time. I qualified in yoga for pregnancy with Dr Uma Dinsmore-Tulli and it is with deep gratitude and reverence that I say with this training and understanding, my pregnancy and the birth of my son was an incredibly empowering experience. After 10 years in London and shortly after the birth of my son Marley in October 2017, I have now relocated to Newton Abbot, Devon and it is here that I am dedicated to creating a community where we can move, breathe, laugh and share in elevating our health, well-being and lives together. I offer classes that are devoted to creating a place in which we can channel our energy towards transformative and life enhancing means. This is done through intention, dedication, movement, conscious breath and sound that reflect self-care and nourishment for you in the truth of the moment. My classes infuse inspiration from yoga philosophy, anatomy and a deep connection to breath as well as honoring the physical and emotional space you may be in on a particular day. Whether dynamic or slow, beginner or restorative, I bring into the practice a reverence for cycles of our lives and encourage all students to practice with spontaneity by stepping into a potentially unknown space where all of these elements of ourselves can be honored and explored. When we spend the time to connect to ourselves, we allow the opportunity to feel grounded, nourished, balanced and renewed. As you evolve in understanding your needs better through the practice, it opens up the space to access our deeper essence and gives the chance for true health and well-being to flow in our bodies, minds and more easily in our lives - one serene breath at a time. I look forward to the time when our paths cross.